Oriole (note “oriel”), Jim (… from an old fan of the baseball team). And “not”, not “note” (above)… ugh! I stand corrected. You’re not the first to note that spelling isn’t my strong suit. But it’s a great song, beautifully performed, eh? The best, Jim. Thanks for the link. I had sort of forgotten what a marvellous voice she had. My once a year recommendation of this site. Death date is incorrect for Ms. Lea. She died on December 26, 2011. I know because I was with her. Please change that detail — it is now already wrong on Wikipedia too. Thanks. Whilst it’s an honour to have you (Barbara’s good friend and carer) commenting here, I must admit to being somewhat mystified as to your point about the “incorrect” date. The post (cross-posted from Michael Steinman’s ‘Jazz Lives’ blog without any changes), gives the date of Barbera’s death as Monday December 26, quoting a communication from yourself. Were you looking at the date of the posting here (and at Jazz Lives), December 28th? Anyway, thanks for being a good friend to the wonderful Barbara and being with her at the end. I posted because Wikipedia linked your blog as the obit page…. not sure why exactly. And the date of your first post was the 28th so that must be where they got the date. Sorry to have bothered you, Jim. But the date has now been fixed. Thanks for your posts about dear Barbara….much appreciated. Yes, that must have been the explanation. Thank you Jeannie and best wishes. Barbara’s wonderful music lives on. That’s wonderful, Jim. Hope you enjoyed the music… it was indeed Barbara’s last CD (though one song on “Black Butterfly” was recorded after that) New Orleans was just starting to recover from hurricane Katrina; in fact, the recording date was delayed about 6 months because of the destruction. Did you know that Barbara used to sing under the name of “Midge Barber” and that “Lea” was merely a shortening of her birth name “Leacock”? I know because her brother was married to my sister. 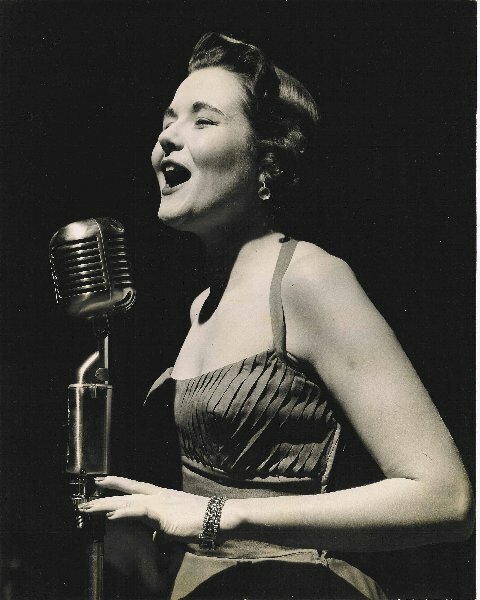 Barbara made only one recording under the name Midge Barber. You’re Betsy’s brother? And yes, Lea is shortened from Leacock though her true birthname was LeCocq — her father changed it. Of course, you’re right. I now remember Martin (her father) mentioning that he used to be “Marion LeCocq”, and yes, I’m Betsy’s kid brother. So, what was the song she recorded under “Midge Barber”? Answer: “(As I snapped my) Orange Suspenders”! The station has a strong signal (10,000 watts) but we have had occasional transmitter problems, so if there is a problem, I hope to reschedule. This is to chear up a misunderstanding on how Barbara got her name. She did not take the name Lea as a tribute to Lee Wiley. She was Barbara Leacock, then changed her name to Barbara Lea when she became a professional singer and actress. She was born Barbara LeCocq. Her father was born Marion Lecocq but changed his name to Martin Leacock when running for public office in the thirties. He was Assistant Attorney General in Michigan for many years. Barbara also took the name Midge Barber when recordning songs she disliked so much that it embarrased her to us her real name. Barbara was my sister-in-law and dear friend whom I miss very much. Thanks for clearing that up, Betsy. I suspected that the account you’ve given was the case, rather than the “tribute to Lee Wiley” explanation. Nevertheless, given the friendship between the two singers and the similarity in their styles (though Barbara had her own distinctive style and was never a Lee Wiley copyist), it’s not surprising that the “Wiley” has some currency. It’s so good to hear from people like you, Rodney and Jeanie, who actually knew Barbara and can comment with authority on the facts of her life and career.